Frank Kent CDJR: Your Best Choice for a Ram Dealers Near Fort Worth! If you want a powerful and beautiful pickup truck that can handle a wide range of jobs while still giving you the performance and functionality you want on the weekend then one of the best places to start is a Ram dealership. Forth Worth is a great place to own a truck, whether you need it for work, play, or both and you have quite a few options for dealerships in the area. That is why we pride ourselves at Frank Kent Chrysler Dodge Jeep Ram on our focus on customer service and ensuring that everyone who drives away from our dealership is happy with their new vehicle. This year is a big one for Ram thanks to the all-new 2019 Ram 1500 making waves as one of the most impressive full-size pickups on the road. This is the start of a new generation for the 1500, so it has been given a lot of attention in the media, and that’s with good reason. The outside of the 1500 looks better than ever before and the spacious interior provides plenty of leg room for everyone, with some of the best technological options on the market. If you haven’t seen the 2019 Ram 1500, then you won’t believe what you’ve been missing. For more than 80 years, the name Frank Kent has been synonymous with quality car dealerships here in Texas. While the Frank Kent dealership family got its start in Fort Worth, we’re proud to be located south-east of the Dallas-Fort Worth area in Ennis. 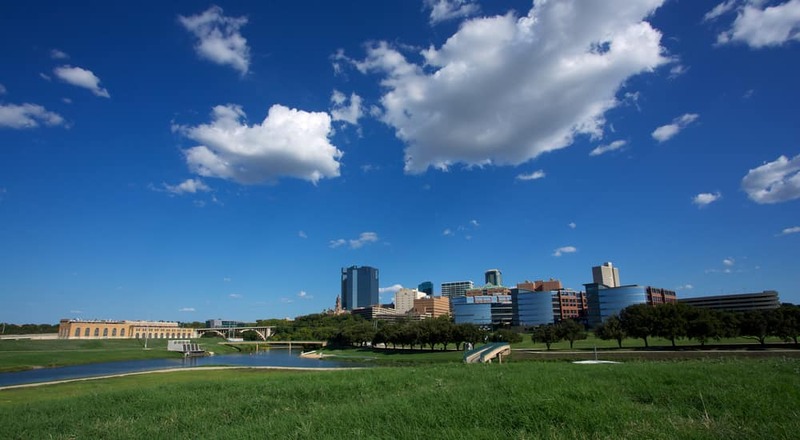 But that doesn’t mean we have lost our connection to Fort Worth and its surrounding neighborhoods, it just means we have branched out and become more available to everyone throughout Texas. Frank Kent CDJR opened in 2007 and since then we have made it our priority to provide Rams and other vehicles with the same emphasis on honesty and integrity that has made Frank Kent a legacy in this state. We know we are not the only Ram dealership near Fort Worth, and that is why it is so important to us to stand apart through our strong community relationship and moral business standard. For us, it’s not just a business philosophy; it is a way of life and part of what it means to be a Texan. 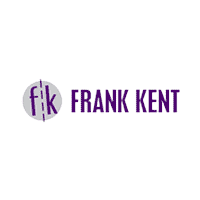 Customer service is a hallmark of all Frank Kent dealerships, and at Frank Kent CDJR we place our loyalty in the customers who come onto our lot. Without our customers, we wouldn’t be in business, and we believe in dealing with each person with honesty and integrity. The Frank Kent family has a simple motto, which is the basis for how all of us approach our work every single day: morals, values, and ethics before profit. That means that providing customer service with a focus on honesty and respect is far more important to us than the money we make. A business needs money to survive, but focusing on that ignores what really matters: our relationship with the customers we have. We are a part of this community, so our customers are not just strangers who come from two-states over to buy a car: our customers are our friends and neighbors. That focus on the community and the people within it is at the core of what sets us apart from our competitors and makes us the Ram dealership near Fort Worth that is right for you. We don’t believe in high-pressure sales approaches or manipulative tricks to try to get you to buy something you don’t want or need. Not only is there no need for such behavior with the gorgeous lineup of Ram trucks available, but it would demean us as a business and as people who live and work in this remarkable community. The trust and respect we have built with the community around us, including areas like Fort Worth, mean everything to us. We were honored with the Customer First Award for Excellence in 2018 and we see that as a sign that we’re doing things right. Every day we strive to live up to that award and the people who honored us with it, and it inspires us to always share our values with you. The heart and soul of Ram’s 2019 lineup is really the all-new Ram 1500, designed as a worthy competitor to the Chevy Silverado 1500 and the Ford F-150. Of course, by competitor we mean it blows those other models away with incredible new design and performance that truly sets it apart within the industry. There’s never been a better time to drive a Ram 1500, which is why we are prouder than ever to be your Ram dealership near Fort Worth. 2019 marks a new milestone for the Ram 1500 as it begins its fifth generation in style with a new exterior featuring a new grille that makes an immediate impression. The new grille includes shutters that increase aerodynamics at speeds greater than 35mph, making this an ideal truck for getting around town or driving from one city to another. There’s more interior leg room than ever before with the 2019 Ram 1500, but that does not come at the expense of power. The new eTorque system includes a lithium-ion battery that replaces the alternator to increase fuel economy and provide greater torque when it’s needed most. This is combined with incredible engine choices including a 3.6L Pentastar V6 that offers 305hp and 269 lb.-ft. of torque, which can be boosted by up to 90 lb.-ft. of torque by the eTorque system. There’s also an available 5.7L Hemi V8 with 395hp and 410 lb.-ft. of torque, which can be boosted by up to 130 lb.-ft. for incredible performance. What does all that mean? It means the new Ram 1500 has a maximum towing capacity of up to 12,750 lbs. with the right package and setup. Not to mention a maximum payload of up to 2,320 lbs. so the new 1500 can get more work done than ever before. Plus the interior is an absolute work of art, which includes all of the technology features you would expect and a massive 12-inch touchscreen that is part of an advanced Infotainment system. What about the larger Ram 2500 and 3500 models? They have not been left behind and are as impressive as ever. This is not a new generational year for the 2500 and 3500, however, for that you are going to have to wait until model year 2020 to see what updates and new additions the heavy-duty models will receive. Until then, however, certain editions will feature the new grille design – which is expected for the new generation – so this may be your last chance to get a heavy-duty Ram with the crosshair grille that has been popular for so many years. No matter what kind of Ram you are looking for, come on out to Frank Kent CDJR and see what we have to offer. The new 2019 Ram 1500 seems great in print, but you really have to see it and sit in it to fully appreciate everything it has to offer. Come see what makes us your favorite Ram dealership near Fort Worth and discover how enjoyable shopping for a new truck can be!